Alison Sayers is the older of Tom and Melissa Sayers’ two daughters. Since Alison was ten years old, she started making and selling jewelry in the jewelry store. She was very involved in high school as she was a two-sport Varsity captain, and worked tirelessly in student organizations such as Student Government Association and National Honor Society. She graduated from Smyrna High School in 2016 as Valedictorian. While managing her extracurricular activities in high school, she has been working at the jewelry store part time since 2015, and has continued to do so while attending University of Delaware, where she will graduate early with an Honors Degree in Economics and Political Science in 2019. After graduating from UD, she plans to attend law school. Her impact working in the store has grown since she started helping as a little girl stamping stamps and labeling things. 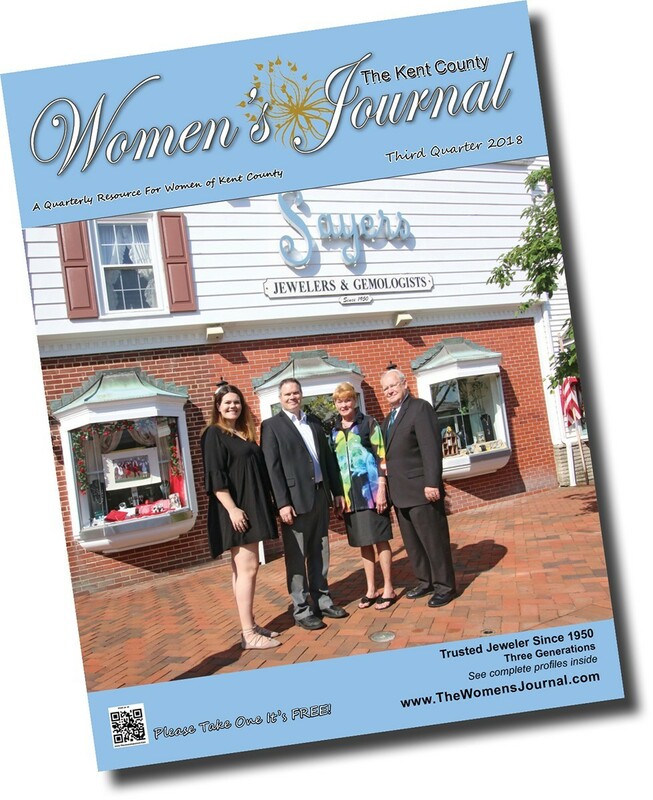 She now strings pearls, helps with administrative tasks such as paperwork and planning for some of the store’s larger events, and submits articles quarterly for the Women’s Journal. In her free time from school and work Alison enjoys crabbing and boating on the water with family and friends, hunting, and traveling with her parents and sister Amber Sayers. Ellen Sayers grew up in Port Mahon and Leipsic, Delaware. Ellen attended Smyrna School District since fifth grade, and graduated in 1964. After high school, she worked part time at Sayers Jewelers while also working as a licensed beautician. After Ron and Ellen got married and then had their first son, Ellen began working full time and has been working in the store for a total of over 50 years. She received her certification in Diamonds from the Gemological Institute of America and was an experienced pearl stringer, among taking care of the store’s finances and selling jewelry. Outside of work Ellen loves working in the yard, boat rides on Lake Como in Smyrna with family and friends, and spending time with her grandchildren. Ellen and Ron have been snowmobiling in West Yellowstone, Montana for over 25 years with friends and family. Ellen has also been involved with the community, and has given her time and service to the Smyrna-Clayton Holly’s Club and the Smyrna Opera House. 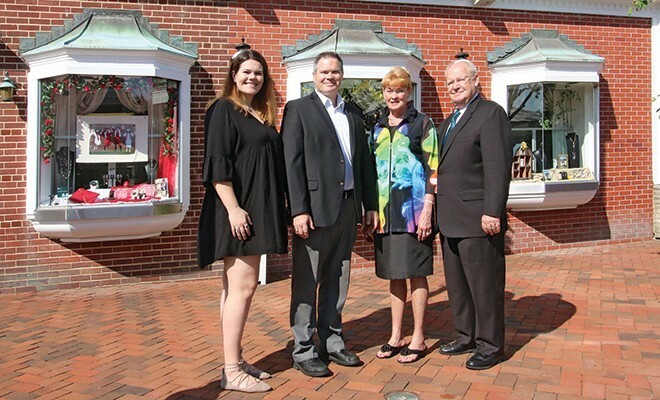 Ron and Ellen have worked very hard over the years, and were awarded Small Business Persons of the Year in 2007 by the Central Delaware Chamber of Commerce. Ronald (Ron) Sayers has been around the jewelry store for just about as long as he can remember. When his parents, June and Leroy Sayers, moved here in 1950 and opened up Sayers Jewelers & Gemologists, he was right there with them as a little boy helping out every way that he could. Ron attended school at the Smyrna School District where he graduated high school in 1963. He then graduated from Wesley College and then Delaware State University in 1968. He has worked at the jewelry store ever since. Ron received a Graduate Gemologist degree from the Gemological Institute of America in 1992, which shows his superior knowledge of a large range of diamonds, colored stones, pearls, and other precious gems. He is very passionate about making custom jewelry. Outside of business, his hobbies include collecting antiques, boating, and traveling with his wife of fifty years, Ellen Sayers. In his younger years, Ron was a licensed pilot and scuba diver. Ron strives to give back to his community and he is involved with the Smyrna-Clayton Rotary Club, Central Delaware Chamber of Commerce, and he was involved with the Bayhealth Hospital Board of Directors. Thomas (Tom) Sayers is the youngest of three of Ron and Ellen’s sons. He began helping his grandparents June and Leroy Sayers in the store when he was a young boy; he would make sure all the gift wrapping bows and toppers were replenished, and he would help sell ornaments. He graduated from Smyrna High School in 1991 and from Wesley College with a Business degree in 1995. He is married to his wife of 22 years Melissa Sayers, and they have two daughters: Alison and Amber Sayers. Tom has been working at Sayers Jewelers since right after high school, when he was not helping his grandfather Harry Killen on the Delaware Bay as a commercial crabber. He has been working full time at the jewelry store since 1995. His skills are quite extensive as he can do both hand and machine engraving, string pearls, do most any jewelry repair, and is well-known for his custom jewelry design and creations, some of which have been featured in national magazines. Tom is also a GIA Graduate Gemologist as of 2011. Tom has a love for the outdoors so his hobbies include crabbing and fishing with family and friends, hunting, spending time with his wife and children, and football. 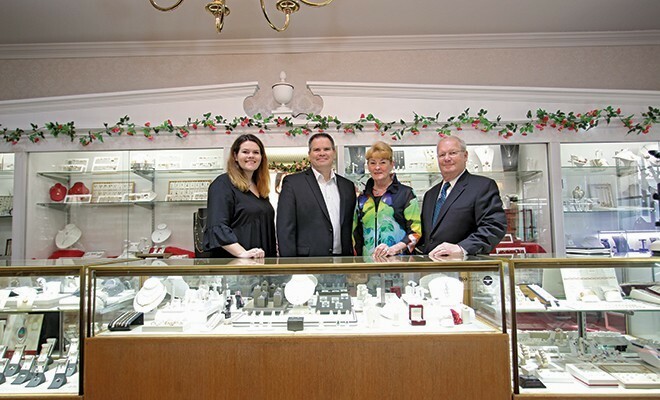 Sayers Jewelry ​are proud to serve customers in over 48 states, and have been selected by Delaware Today as one of the state’s premier jewelers. Now in our fourth generation, we are a family business emphasizing customer service and satisfaction along with tax-free shopping. Our large and expert staff including GIA trained graduate gemologists and diamond experts are excited to bring you the best jewelry and jewelry shopping experience you will find in Delaware. Please check out our Jewelry page to see some of the many brands we carry. For information check them out on the web at www.sayersjewelersandgemologists.com. Mike Baker is the founder of C.M. Baker Photography with over 26 year’s experience. His photography ventures have been quite diverse. Throughout the year you may find him shooting a wedding, a Quinceañera, in the pits of a NASCAR race at Dover Downs and now at front stage at the Firefly Festival or flying over doing aerials. Giving back to the community has always been an important part of it all. Mike was awarded “Volunteer of the Year” from CDCC (Central Delaware Chamber of Commerce) in 2005, “Volunteer of the Year” from Kent County Tourism in 2010,” Chairman’s Outstanding Partnership Award from CDCC in 2010 along with “Business Person of the Year” from CDCC in 2008. Since 1997, Mike has been the “official” photographer for the KC Heart Ball and for the “Go Red” in Kent County since it’s onset. Some of the past and present organizations have been: MD Kidney Foundation, DE Breast Cancer Coalition, Various DE Fire Companies, Bayhealth Foundation, Beebe Hospital, Dover Air Force Base, Autism DE, Relay for Life, MS Bike to the Bay and the Amish Bike Tour, to name a few.